Forklifts have become an indispensable piece of equipment in material handling operations. 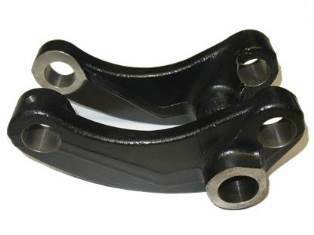 A lever is a component of a critical importance in the steering and lift system of a forklift. Its main purpose is to transmit stress and support the vehicle movements. The lever is a part of specific forklifts with long forks to lift very heavy materials. To ensure safe performance of the lever, its lift arms require best mechanical characteristics achieved only in a sophisticated forging process. Setforge has more than 15 years of experience in the manufacturing of high-quality carbon steel levers and lever lift arms for the material handling sector. Farinia Group is one of the European leaders in precision manufacturing and machining with a proven track record. As a trusted partner of many international companies, we supply a wide range of industries with diverse forged and cast components.